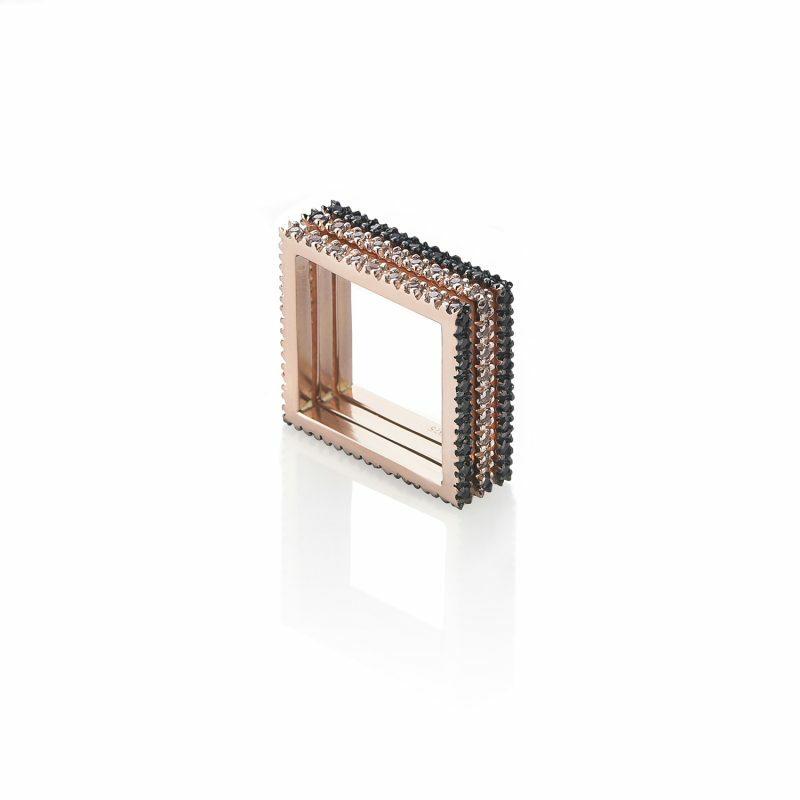 The Square Eternity Ring is a single ring available with white sapphires, black spinels, or both set in 9ct Rose Gold. All three variations are pictured side by side. Part of the Naked Square collection by MyriamSOS, which – inspired by Myriam’s love of geometry – rethinks how we wear classic diamond jewellery, with striking and delicate 1.2mm diamonds adorning structural lines. Award-winning MyriamSOS is a highly innovative Contemporary Fine Jewellery brand designed by Myriam Soseilos. Designed for the modern woman, Myriam’s intricate pieces are multi-functional and designed to be worn many different ways.